We’d love your help. 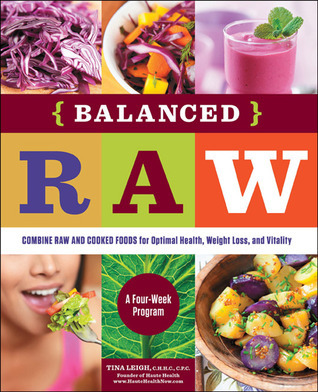 Let us know what’s wrong with this preview of Balanced Raw by Tina Leigh. To ask other readers questions about Balanced Raw, please sign up. Ugh. Some questionable nutrition advice followed by some uninspiring recipes. There is not a single recipe in this whole book that I have any interest in eating. Glad it was just a library borrow. Tina Leigh, founder of Haute Health is an inspiring and compassionate holistic wellness practitioner, yoga instructor, and therapeutic chef who specializes in mindful eating and whole being transformation. She has a unique ability to weave the principles of Ayurveda and plant-based eating with culinary art that attracts a varied clientele. It is through fifteen years of experience, and a devotion Tina Leigh, founder of Haute Health is an inspiring and compassionate holistic wellness practitioner, yoga instructor, and therapeutic chef who specializes in mindful eating and whole being transformation. She has a unique ability to weave the principles of Ayurveda and plant-based eating with culinary art that attracts a varied clientele. It is through fifteen years of experience, and a devotion to conscious living that she’s able to guide those she works with through their unique journeys to whole body wellbeing. 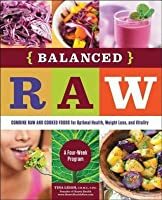 She is the author of Balanced Raw and Superfood Juices & Smoothies, and creator of The ABC Lifestyle––a commitment to Always Be Cleansing. Tina lives in Portland, Oregon where she enjoys a regular meditation and yoga practice, hiking, writing, and guides entrepreneurs and small businesses in wellness journeys.